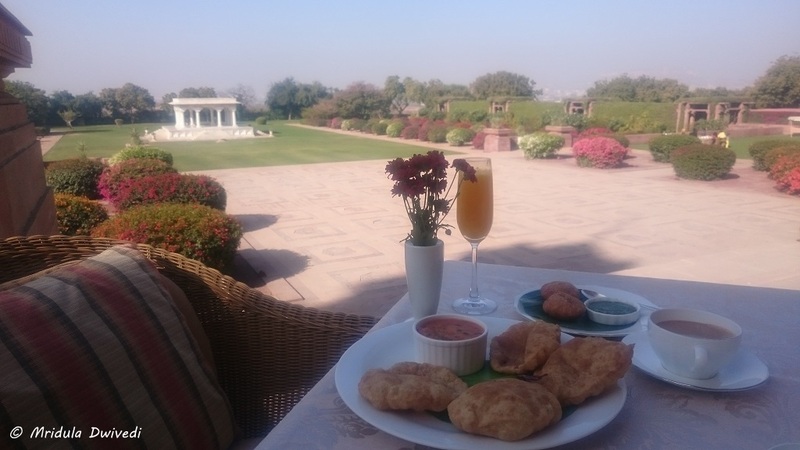 In my excitement of staying at the Maharani Suite, I completely neglected my stay at the Royal Suite at Umaid Bhawan Palace. It is time to rectify that mistake and to reminisce my stay at hotel in general. The welcome at the Umaid Bhawan Palace is grand. They line up horses, they greet you with phool mala at the entrance, they throw rose petals on your path, they do a welcome dance in the main lobby and hand you champagne! Even though I had read about it on Tripadvisor before going, I was still completely floored. The Royal Suite is actually a cozy room! It has a living area, the bedroom, a balcony, a wardrobe area and a lavish bathroom. While it is tempting to try and compare it with the Maharani Suite, I will resist it. 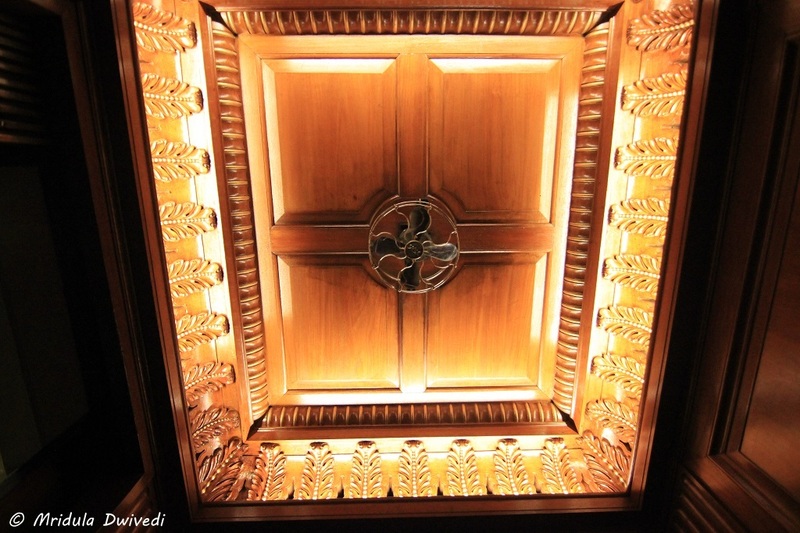 In the season a Royal Suite at Umaid Bhawan Palace goes at about 1.25 lakhs (1825 dollars, no typo) per day. The bottle of wine is complimentary. 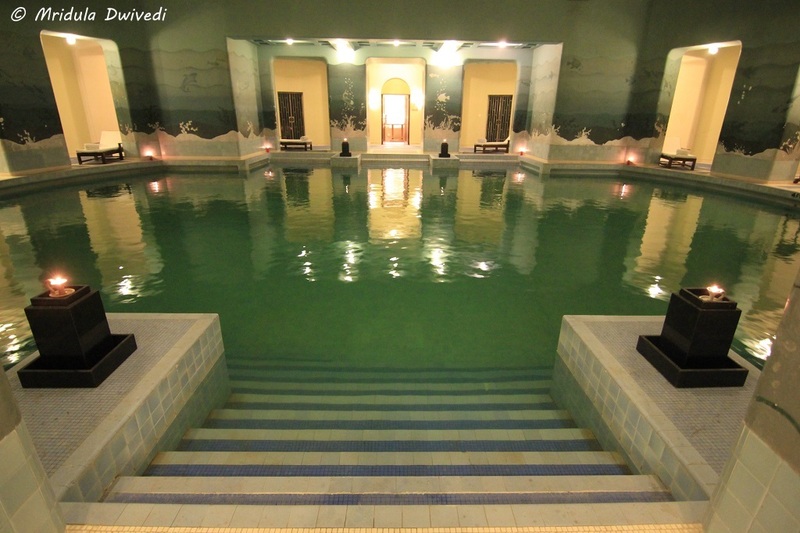 The palace has an fabulous indoor swimming pool from the time the palace was built. It is heated. I was lucky to have it for a morning all to myself. The staff on duty was quite worried initially as the pool is deep, but after a few laps they realized I would do fine! I didn’t have time to go for a swim in the outdoor swimming pool. 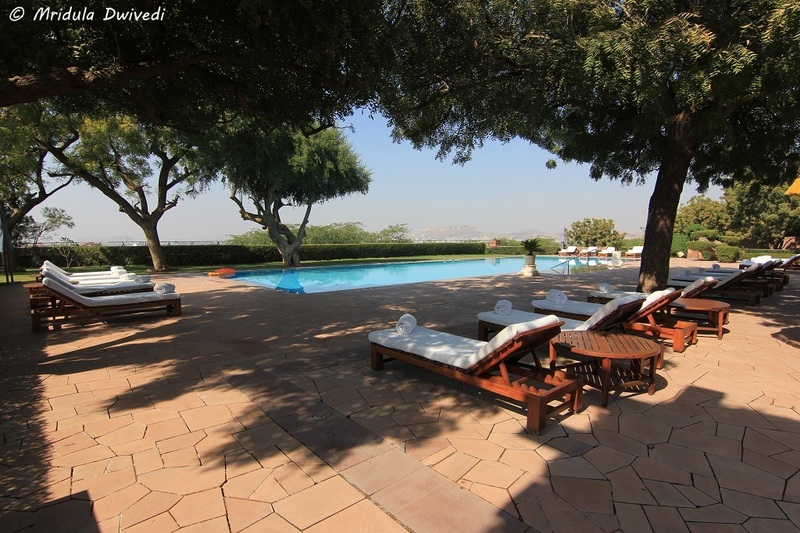 The the view of the Mehrangarh Fort from the pool is fabulous. Do go with a tripod if you wish to take an evening shot. I realized it too late, when I was almost about to leave. 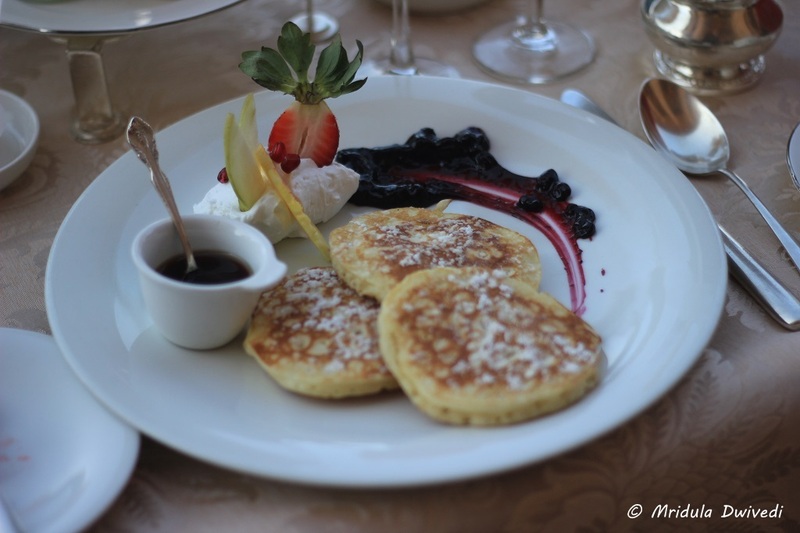 The most surprising part of the breakfast was the champagne with orange juice! It was a first for me, but then I was staying at a palace! So it was alright to drink champagne at breakfast. I tried both Indian and continental breakfast (on different days) and they were good! 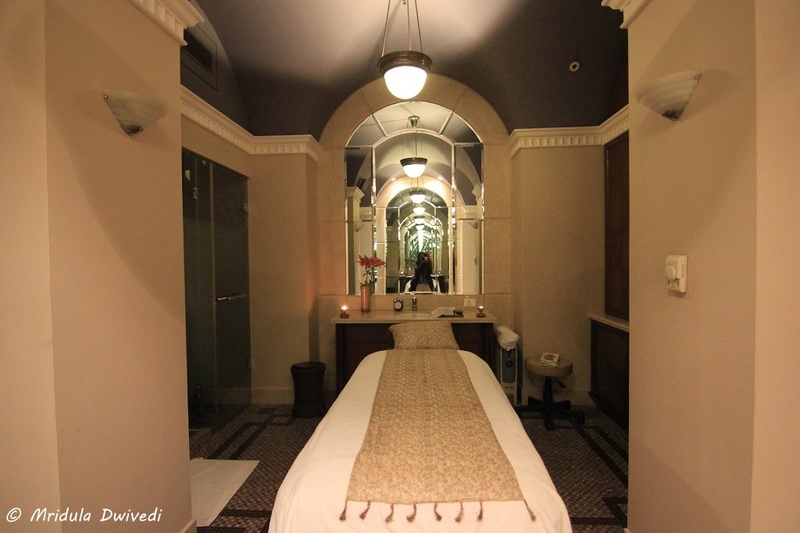 I went for an aromatherapy full body massage and it was one hour of pure bliss. 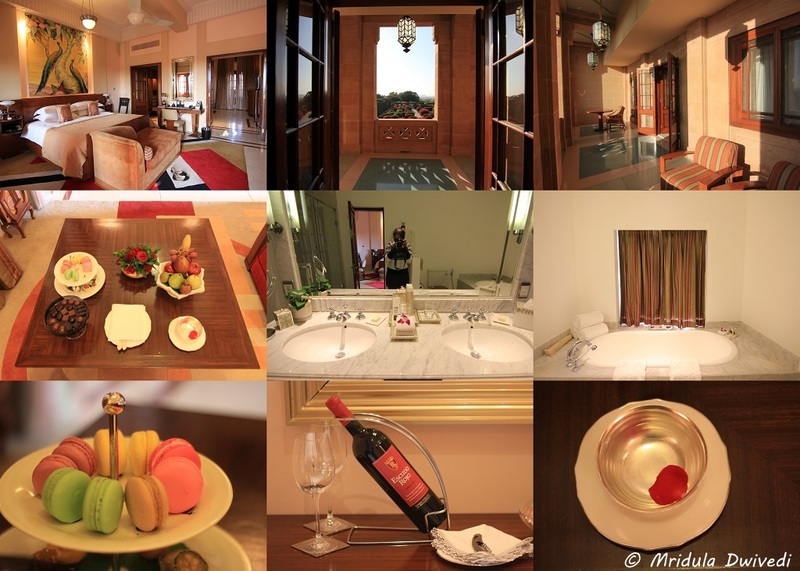 I had a spa in the Maharani Suite but it didn’t occur to me to get it done in the suite itself! I went to the main spa, which is on the same floor as the indoor swimming pool. After eating all the food and wine, I kept to the stairs strictly and I went to the lift only to click a picture. The lifts at retain the old look even though the lever mechanism is no longer in use. The view from the stairs that led to the Maharani Suite was grand. 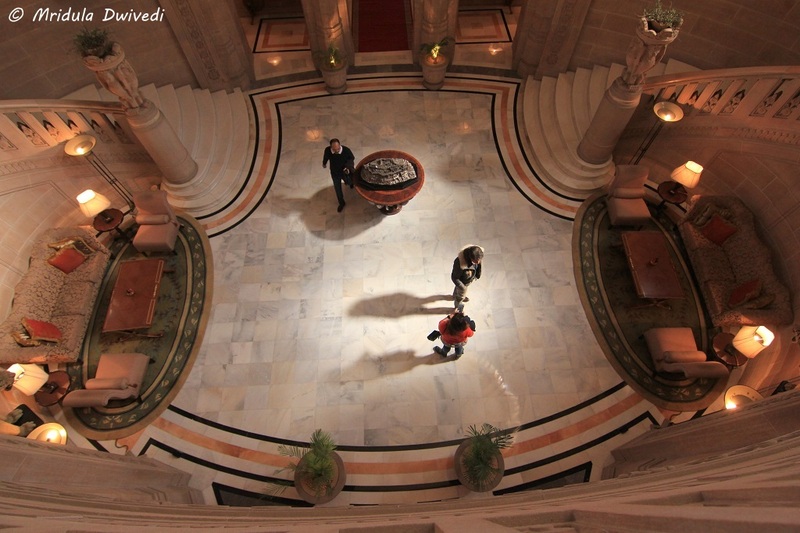 This lobby is closer to the entrance but the main lobby with its high dome is grander still! There are a lot of mirrors in the corridors and within the suites. Even without trying I would catch a glimpse of myself every few minutes. Now at home there is just one full length mirror! I wonder if I had more mirrors at home, would I care about my appearance more? 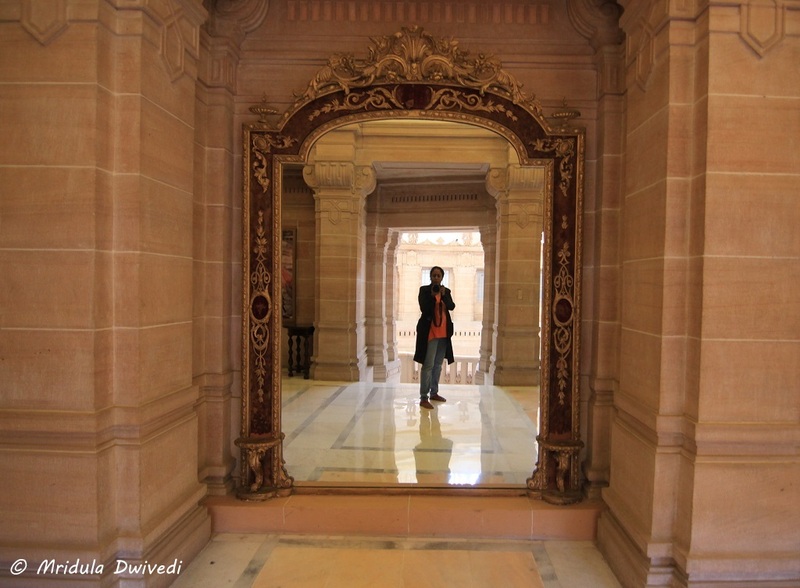 It has been a little more than a month since I visited Umaid Bhawan Palace, Jodhpur but the memories still bring a smile to my face. The whole trip has this unreal feel to it! PS. 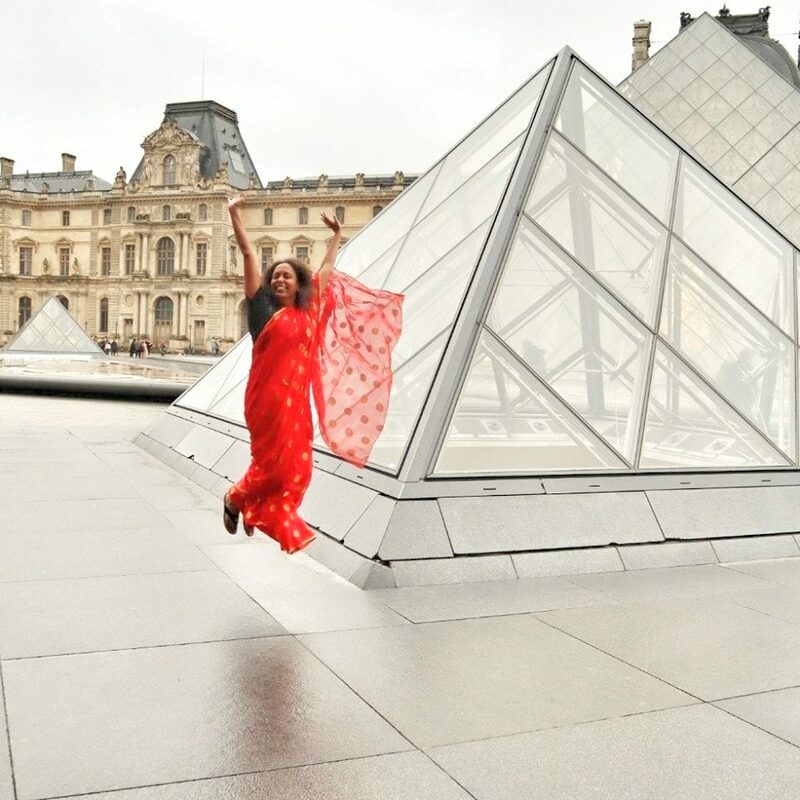 I was invited on this trip by Tripadvisor and the Taj Hotels, Resorts and Palaces.